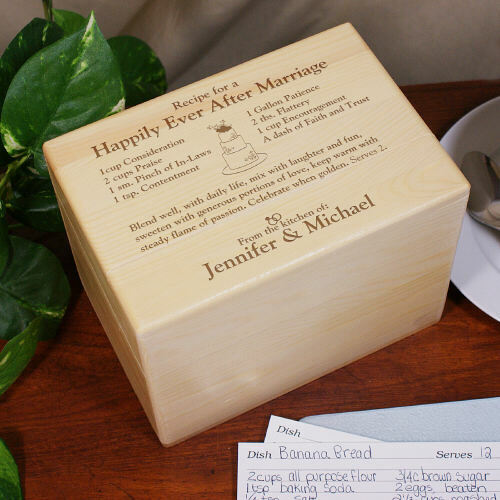 Finding the perfect gift for the bride and groom can be a challenge, but GiftsForYouNow.com has something that will make both you and the newlyweds smile. 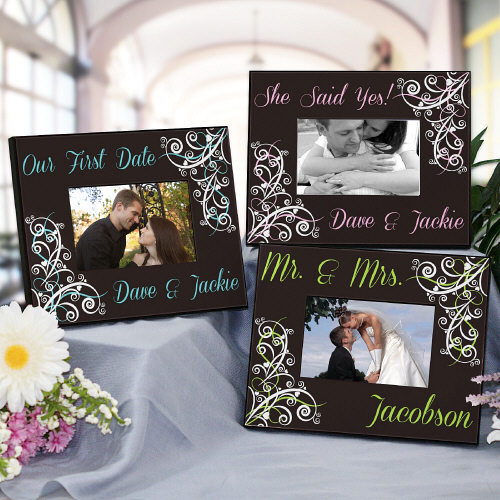 Help them make their marriage special with a personalized gift that is made just for them. Everything from now on is about their lives being intertwined, so help them get used to it with his and hers items for the home. Try something personalized for the bedroom, like pillowcases or a blanket, or give them a pretty frame to place on their mantle. GiftsForYouNow.com also has a wide variety of wall décor that can suit any home. …even when they have to do chores. When newly married couples aren’t in the throes of romance, there’s a good chance they’ll be doing something productive, like the dishes. 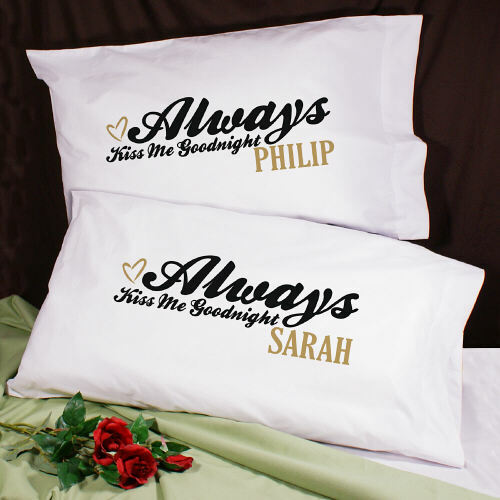 But with a personalized towel set from you to remind them of their love, they can celebrate their marriage even while completing boring tasks. 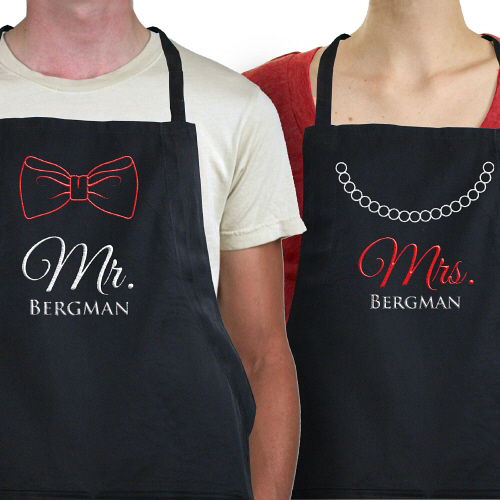 How about personalized aprons or potholders for Stir Fridays and Taco Tuesdays? 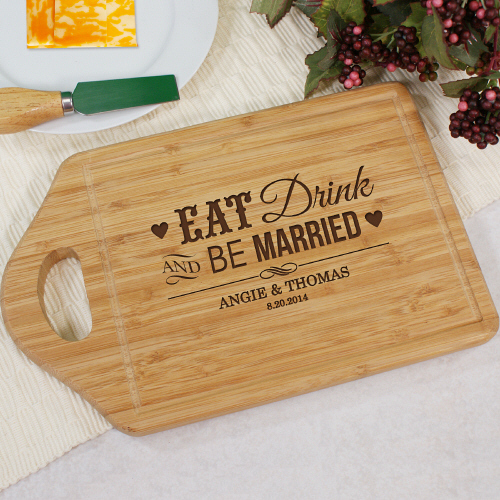 They’ll love items for cooking that are adorned with their newly shared name. GiftsForYouNow.com is in tune with the newlyweds’ plan to be together forever, and we also know that a few happy sips on a festive drink in a personalized wine glass can help them commemorate their commitment. Or, how about a personalized shot glass for the harder partiers of the group? Do they abstain from alcoholic beverages? No problem! 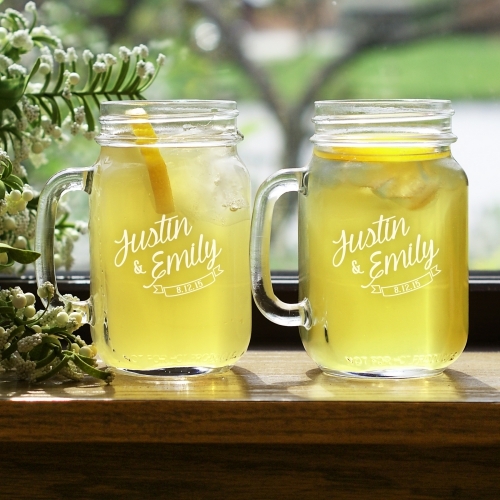 Try a set of cute and trendy personalized Mason jars for the happy pair. \ There’s a reason marriage ceremonies traditionally ask for the support of the congregation, and it means a lot to the couple to know they have support from you. Show how much you care with personalized gifts from GiftsForYouNow.com!